This updated edition of management guru Ken Blanchardâs classic work Leadership and the One Minute ManagerÂ® teaches leaders the world renowned method of developing self-reliance in those they manage: Situational LeadershipÂ® II. From Leadership and the One Minute ManagerÂ® youâll learn why tailoring management styles to individual employees is so important; why knowing when to delegate, support, or direct is critical; and how to identify the leadership style suited to a particular person. By consistently using Situational LeadershipÂ® IIâs proven model and powerful techniques, leaders can develop and retain competent, committed employees. This remarkable, easy-to-follow book is a priceless guide to personalized leadership that elicits the best performance from your staffâand the best bottom line for any business. 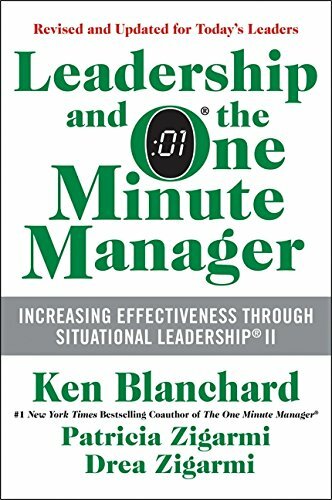 About: This updated edition of management guru Ken Blanchard’s classic work Leadership and the One Minute Manager® teaches leaders the world renowned method of developing self-reliance in those they manage: Situational Leadership® II.